I grew up in Sacramento, I still live in Northern California, and I have quite a few friends who work for the Sacramento Sheriff’s Department, so I tend to stay abreast of things happening there. The current election cycle coming up has four candidates vying for the position of Sheriff, and of those four, there are only two real contenders. Bret Daniels, who runs every single time, is a former Sacramento deputy who got fired, whom I have written about in the past, and then there is Donna Cox, another former deputy who was a sergeant at the time she left the department and, at least from what I have heard via the rumor mill, left under somewhat bizarre circumstances. Neither of them have much support at all, and almost none from actual members of the department. That brings us to the two front runners, the current Sheriff, Scott Jones, and the primary contender, Milo Fitch. As an oath keeping, pro-second amendment cop myself, Scott Jones definitely has done some things that I find very reassuring. One of his earliest campaign promises when he first ran for office was that he would make significant changes to the department’s concealed carry licensing program, and that is a promise he kept. In fact, that is one of the primary reasons that numerous California Democrat politicians have gone on the offensive against Jones and the Sacramento Sheriff’s Department. In fact, certain California lawmakers have singled out Jones and the department when discussing gun laws and concealed carry licensing. Also, Jones is also a strong vocal supporter of stricter immigration enforcement and he has even met with President Trump to discuss the matter which has only further angered the liberal left. Beyond his pro-2A stance and his immigration policies, even according to the cop hating Sacramento Bee, crimes rates in Sacramento dropped under Sheriff Jones while the rest of the nation saw increases. In fact, a survey of Sacramento residents was conducted and 80% of the respondents were happy with their interactions with the Sheriff’s Department under Jones’ leadership. In fact, 200 jail inmates were surveyed and they also overwhelmingly had positive responses about the department. The only group who raised a stink about the results of that survey was Black Lives Matter, so that should tell you something right there. The list of people endorsing Scott Jones for Sheriff is a quite impressive list of law enforcement labor organizations, current and former law enforcement professionals, including department heads, and many other groups and individuals. Being friends with a number of people who work for Scott Jones, I conducted my own, very limited in scope survey. The overwhelming majority of them viewed Jones as a good leader. As is typical with ALL cops, they could all point to one or two things that they did not like, such as a new policy, or something that was said or done, but those same people said they definitely supported Jones, especially when compared to the other options available. That brings us to Milo Fitch, Jones’ main competition in the race. 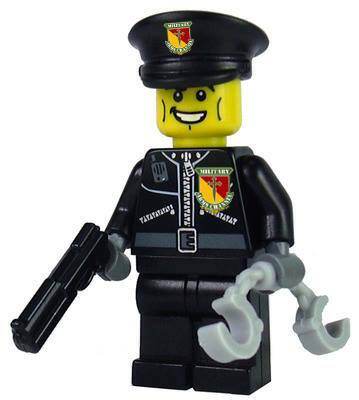 Fitch, like all the others, previously worked for the Sacramento Sheriff’s Department. He had a long career that culminated with him in the rank of chief deputy, one of the highest ranks in the department, where he served under Sheriff Jones. However, his career ended very abruptly when an investigation was opened into some shady deals where he used his position to push policies that benefited a business owned and operated by a woman he was dating at the time, the very woman whom he has since married. Fitch, rather than ride out the investigation, chose to retire after serving only nine (9) months as a chief deputy. Had he stayed in his position for a mere three (3) months longer, his retirement would have seen nearly a $5000 per year increase. Instead, he up and bailed. What is that old saying, something about running being the international sign of guilt? Going beyond the very questionable circumstances in which he left the department, considering some of Fitch’s policy ideas is a scary proposition, especially from a law and order point of view. Fitch makes it very clear where his priorities lie: pushing the Democrat party talking points. Milo is pushing for stronger gun control laws, you know, because of how lax current California gun laws are… He was a supporter of propositions 47 and 57, and supports further “criminal justice reform” while suggesting that different communities in Sacramento are treated differently by law enforcement (ie: racial bias, racism). He is also suggesting the current bail system needs reform, which the current Democrat plan is to eliminate bail altogether. Exactly none of those things are proposals that are supported by law enforcement, especially not line level working cops. In fact, that all seem to be nothing but liberal talking points. In speaking to my friends who work for the Sacramento Sheriff’s Department, several of them have told me that Fitch had a split reputation on the department. Some people had good feelings about him, while others referred to him as “Milo Snitch,” although none of the people I spoke to could tell me from what circumstances that nickname originated. Nicknames aside, the position of Sheriff is not a popularity contest, and whether the cops on that department like the Sheriff or not does not necessarily indicate the type of job they will do as Sheriff, but it most definitely does make a difference when it comes to employee morale. If you want to know what type of influence employee morale plays in how well an agency functions, just look at the Sacramento Police Department over the last couple years. They have been in turmoil, but not because the employees are bad. In fact, it is quite the opposite, they have a large number of well educated, well trained excellent cops who are dedicated to keeping their city safe, but their leadership has been abysmal which has caused a mass exodus from that department leaving them in a large staffing shortage. Speaking of what is happening to the Sacramento Police Department and their current turmoil, take a look at some of Fitch’s top supporters. It is a laundry list of liberal democrats from the Sacramento City government, including Mayor Darrell Steinberg, six (6) Sacramento City Councilmembers, anti-gun, anti-law enforcement CA Assemblymember Kevin McCarty, the cop hating Sacramento Bee, and a laundry list of other liberal democrats and leftist organizations. One of those leftist organizations supporting FItch is named “Real Justice PAC” which is run by none other than the cop hater extraordinaire himself, Shaun King. King has a long history of fanning anti-law enforcement sentiment and stirring up angry folks to the point that they have rioted and destroyed their own city (ie: Ferguson). Most recently, in fact only a couple of days ago, King pushed a completely bogus narrative that caused not one, but two Texas Troopers to receive death threats from his followers. When body cam footage of the incident in question was released, King deleted his post and pretended nothing happened. About eight hours later, he published a blog post admitting the original incident did not happen like he had previously said, but he never once offered any sort of apology to the two cops whose lives he endangered. In fact, he did quite the opposite and tried to make himself out as the victim in the whole incident. 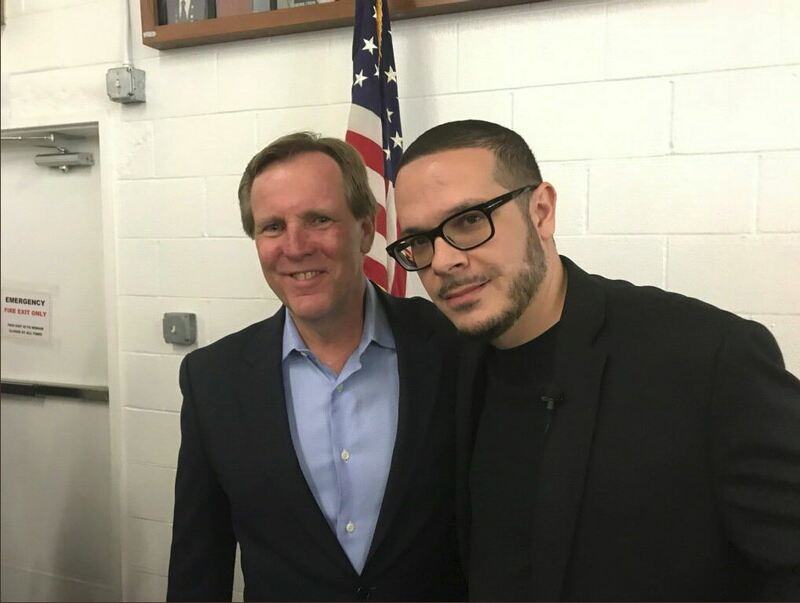 Here is Fitch posing with Shaun King at a recent event in Sacramento, hosted by King. But hey, don’t take my word for it, take Fitch’s. So, besides policies, departmental reputations, history of criminal or potentially criminal issues, and who they choose to hang out with, one other important factor to consider is from where these candidates are getting their money. In Jones’ case, the overwhelming majority of the money is coming from Sacramento residents, Sacramento business owners, and the Sacramento Deputy Sheriff’s Association (a good sign when the union supports the existing boss). Fitch on the other hand has received the vast majority of his money from two very liberal Bay Area / Silicon Valley billionaires (Kaitlyn J. Trigger Kreiger and Patty Quillin) and Shaun King’s Real Justice PAC. Now, I cannot tell you who to vote for, but I can tell you that if I were a resident of Sacramento County, I know who would get my vote. It is clear to me that there is only one candidate who not only has Sacramento’s best interest at heart, but he also has Sacramento’s support, and that is Scott Jones.